"Uncovering the Legal and Extralegal Sources of Racial Disparity in the Delaware Justice System"
Why Minor in Legal Studies? Legal Studies encourages the exploration of law from an interdisciplinary perspective. I am thrilled to be the Director of Legal Studies! Whether you consider yourself law school bound, or are just testing the waters, seek to have a foundation in law as a valuable resource in another career, or simply wish to attain some understanding of law for your own edification, a legal studies minor is an excellent choice. Law is all around us. It affects our daily lives in innumerable ways. I encourage you to dive in and explore our diverse offerings. From business law to criminal law, civil liberties to the mass media, we offer substantive courses that would not be out of place in any of the country's major law schools. However, spanning the university, we also offer classes that approach law through the lens of many disciplines. I encourage you to make the most of your legal studies experience. 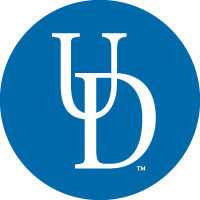 If you have any questions, or are in need of advising, please contact me or Barbara Ford legal-studies@udel.edu in the Political Science office. ​Morgan P. Lucas (formerly “Arons”) is currently a fourth year litigation associate at Steptoe & Johnson, LLP in Manhattan, where she focuses on commercial litigation defense. While a student at the University of Delaware, Morgan was a Legal Studies minor, and recalls getting help with navigating the law school application process from Dr. Wayne Batchis. She graduated from UD in 2012, and went directly to law school at the University of Maryland. Upon reaching law school, she was already familiar with her Constitutional Law textbook, as she had been assigned to read it in her UD Legal Studies courses. Morgan says the Legal Studies program contributed directly to her post-graduation success. Morgan graduated from law school in 2015. Christopher is a Dean's Merit Scholar at Villanova University Charles Widger School of Law. He is a staff writer for the Villanova Law Review, and he serves as treasurer of the law school's pro bono society and a member of the honor board. While at Villanova, Chris has work as a research assistant for three professors, and contributed to the publication of three books and one scholarly article. Chris spent the summer after his 1L year as a summer associate at the Wilmington, Delaware, law firm Young Conaway Stargatt & Taylor. He is currently externing for the Honorable Jane R. Roth on the U.S. Court of Appeals for the Third Circuit. This summer, after his 2L year, he will be a summer associate at Dechert in Philadelphia. In the fall, he will extern for the Honorable Mark Kearney on the U.S. District Court for the Eastern District of Pennsylvania. Following graduation, Chris will serve as a judicial law clerk for the Honorable Madeline Haikala on the U.S. District Court for the Northern District of Alabama. While at UD, Chris interned for a real estate litigator in Wilmington, the Philadelphia District Attorney's Office, and Vice President Joe Biden at the White House. Chris also worked with Legal Studies director Dr. Wayne Batchis to author an encyclopedia entry on the Warren Court, which was published in May 2017. Outside of academia, Chris was a Student Alumni Ambassador, and served on the executive board of the UD Model UN Conference (HenMUN) for two years. Jeff is a member of the Delaware Corporate Counseling Group, which focuses on corporate governance and transactions. He has taught courses on Corporate M&A at Villanova University Law School and University of Pennsylvania Law School. ​Marc is a partner in the Wilmington, Delaware office of White and Williams, a firm founded in 1889 with over 240 lawyers in ten offices. Marc's practice areas include general commercial litigation, labor and employment, bankruptcy, and corporate governance. Marc helps his clients to achieve their business objectives, manage risk, and resolve disputes. Further, Marc is the Pro Bono Coordinator for the Delaware office. He regularly donates time each year to assisting pro bono clients through the Office of the Child Advocate and similar organizations. Emily Lentz is a merit scholar at The George Washington University Law School. At GW Law, she serves as President of the Antitrust Law Association and Director of Outreach for the Corporate and Business Law Society. Emily currently interns for the Federal Communications Commission. While at UD, Emily interned for the law firm of Ciconte, Scerba & Kerrick, LLC, the Cecil County Maryland State's Attorney's Office, and Governor John Carney's 2014 Congressional Reelection Campaign. Outside of school, she was founding President of the Blue Hen Economics Club, a committee chair of UD's Model United Nations Conference, and a sister of Alpha Xi Delta Sorority. ​Brian is a partner in the Philadelphia office of Ballard Spahr, a firm with over 500 attorneys in 13 offices. Mr. Doerner has extensive experience representing both public and private companies in mergers and acquisitions, restructurings, cross-border transactions, and corporate governance matters. He has negotiated numerous strategic alliances and licensing agreements for life sciences, technology, manufacturing, and other companies. ​Bill is a partner in the Wilmington, Delaware office of Morris Nichols Arsht & Tunnell, a Delaware firm founded in 1930. As a member of the Corporate & Business Litigation Group, Bill had represented clients including Berkshire Hathaway, Inc., Google Inc., Facebook Inc., Caremark CVS, Inc., and Netflix, Inc. Bill's practice focuses on mergers and acquisitions and related corporate litigation. He also serves as a member of the Advisory Board of the John L. Weinberg Center for Corporate Governance, Alfred Lerner College of Business & Economics, University of Delaware. Bill's interest in corporate law started in the business law class that he took as part of his undergraduate studies at UD.